Fashionable, economical, light and ergonomic designs have allow the 'free series' to successfully capture the modern lifestyle market whilst bonding family relations. With its innovative designs and concepts it hopes to create a 'cookware revolution' to introduce and attract younger generations and more small families to enjoy culinary life. Exclusive technology - Shear Forming Body. We are the world's pioneer in shear forming technology overcoming different malleable difficulties in metal restructuring/manufacturing. SCE steel using shear forming technology has produced the first 'Thickness Varied Design Body' which helps to significantly reduce weight; the biggest disadvantage of multi-layered cook-wares. With SCE's thickness varied body, even and rapid heat transmission is ensure whilst preserving the nutritional necessity and values. Having a philosophy to produce the most innovative yet ergonomic products, SCE has introduced its unibody cook-ware designs. 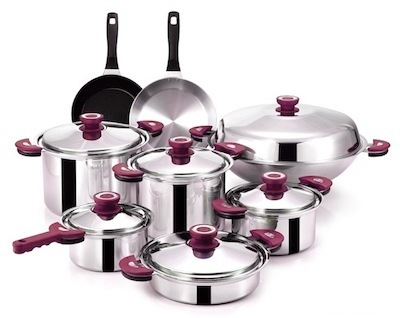 The first cookware to incorporate a one-piece design, there are no welding, no dead edges and no joints. This design allows for cleaning simplicity and promises handles that will last forever. With the serious global warming phenomenon, environmental protection has become an important aspect of daily life. In response to this, SCE has create a product to aide in the fight against global warming. With its thickness varied design, energy consumption can be reduced by 20%; with its even heat distribution water usage can be reduce whilst still allowing for perfect cooking conditions. last but no least, with a product made to last, it reduces manufacturing requirement thus reducing carbon emissions and unnecessary wastage. 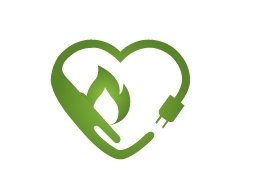 Support the environment by using energy saving products. Our patented water seal groove design creates a thin film of water between the pot and the lid, and seals the pot with the vacuum effect. As a result, the nutrients in the food will not escape along with the water vapor, and all the rich flavors will stay inside the pot. Prevent liquid spillage and steam back-flow which makes cooking easy and hassle-free.